Prior to 1975 the Atomic Energy Commission was in charge of matters regarding radionuclides. The AEC was dissolved, because it was perceived as unduly favoring the industry it was charged with regulating. The NRC was formed as an independent commission to oversee nuclear energy matters, oversight of nuclear medicine, and nuclear safety. The U.S. AEC became the Energy Research and Development Administration (ERDA) in 1975, responsible for development and oversight of nuclear weapons. Research and promotion of civil uses of radioactive materials, such as for nuclear non-destructive testing, nuclear medicine, and nuclear power, was split into the Office of Nuclear Energy, Science & Technology within ERDA by the same act. In 1977, ERDA became the United States Department of Energy (DOE). In 2000, the National Nuclear Security Administration was created as a subcomponent of DOE, responsible for nuclear weapons. 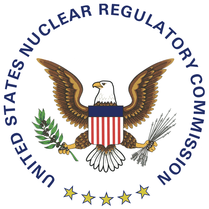 The Nuclear Regulatory Commission Regulation encompasses all employees in a position of possibly causing harm to the general public by being impaired with alcohol or drugs. These include the thousands of Nuclear Reactor professionals are subject to drug and alcohol testing which requires the United States Nuclear Regulatory Commission agencies and entities to perform such testing. If you are a person who works in a safety-sensitive job, and you fail (or refuse) a test, your employer is required to immediately remove you from safety-sensitive positions until you have: Undergone an evaluation by a DOT/NRC Substance Abuse Professional (SAP)/Substance Abuse Expert (SAE). Successfully completed any course, counseling or treatment prescribed by the SAP/SAE. Undergone a follow-up evaluation by the same SAP/SAE to determine if you have complied with their recommendations. Provided a breath or urine specimen which tests negative for drugs or alcohol. Immediate benefits of the DOT/SAP or NRC/SAE process: 1. Employers who refer employees with a DOT/NRC violation for SAP/SAE Services remain in DOT/NRC compliance. 2.All SAP/SAE reporting will satisfy DOT/NRC requirements. 3. Support and consultation will be provided regarding any and all SAP/SAE reports or DOT/NRC auditing. Under CFR 49 Part 40, an individual with a POSITIVE urinalysis drug screen MUST be referred to a Qualified Substance Abuse Professional (SAP). United States Department Of Transportation Substance Abuse Professional/Nuclear Regulatory Commission Substance Abuse Expert Darrell Hartley will conduct a face-to-face clinical assessment, oversee your case, conduct a DOT/HIPPA compliance interview and provide a follow-up testing schedule. Face-to-face clinical drug and alcohol assessment. All reports meet Department of Transportation requirements.